Anyone from the Portland area thinking about pursuing a graduate degree will have ample opportunity try on several University of Oregon programs before finding the best fit. 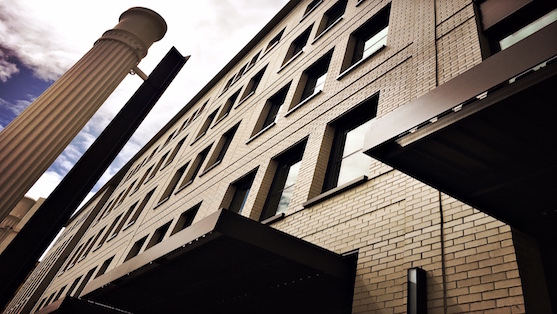 The UO is holding several information sessions and a panel discussion with faculty and staff from the business, architecture and journalism programs. The meetings will happen in June and August at the university’s downtown Portland buildings and in Eugene. Oregon Executive MBA: An Oregon Executive MBA panel discussion on work-life balance will give potential students a taste of the program. Oregon Executive MBA executive director Julianna Sowash will facilitate the panel of program alumni, and also feature professional advice from Sally Rhys, one of the program’s executive coaches. Tailored to the needs of busy professionals, the academic program has a duration of 20 months, with the summer off between academic years. Balancing professional and personal commitments will be part of the panel discussion. The panel will be held Thursday, June 22, from 5 to 7 p.m. at 109 NW Naito Parkway. It is free with registration and includes people who have completed the program and can offer advice. To register for the panel and for more information, visit https://business.uoregon.edu/oemba/info-session. School of Architecture and Allied Arts: Those interested in pursuing a master’s degree in architecture or interior architecture are invited to attend an informational session from 10 to 11 a.m. July 7 or Aug. 11 Room 210, Lawrence Hall on the Eugene campus. The session includes a tour of the building and its design studios, program and admissions information from an academic advisor, and a question-and-answer session with current students in the program. School of Journalism and Communication: Master’s programs in multimedia journalism and strategic communications are geared toward working professionals and provide weekend and evening classes. Prospective students can learn how each program works, hear from current students and alumi, and meet faculty. The information session will be held in Portland Aug. 7 from 5 to 6 p.m. at the George S. Turnbull Center, 70 NW Couch Street, Room 342, Waggener Edstrom Conference Room, Floor 3R. For more information, visit https://calendar.uoregon.edu/event/sojc_graduate_programs_information_session_portland#.WUMp7RiZOi4. All information sessions and OEMBA panel are free.